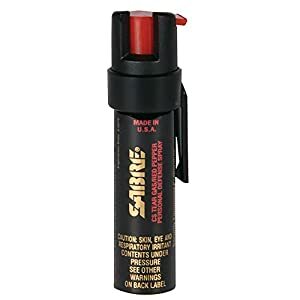 Best Pepper Spray – Easy Way to Protect Yourself in 2019! There are lots of different self-defense products on the market, among which pepper spray is a commonly used one. It is widely popular, because it is an effective and non-lethal way to keep you safe. 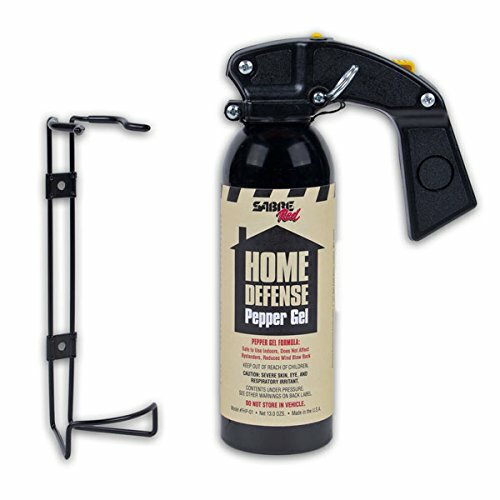 Pepper sprays usually come at a reasonable price while providing a quick and easy protection. The main goal of the pepper spray is to stop the attack and give you time to call for help or run away. The majority of pepper sprays use the OC (oleoresin capsicum) as the inflammatory element. This is a natural product derived form hot peppers. It causes inflammation, pain and makes it difficult to open the eyes or breathe. Pepper sprays can feature different levels of OC concentration. One of the highest legal concentration levels is 17%. OC levels are also classified by OC strength, which is measured in Scoville Heat Units. Some pepper sprays might feature tear gas or mace. But in general, the OC formula is enough for self-defense. What is the best pepper spray for self-defense? What criteria should we use to pick the best option on the market? First of all, before buying a pepper spray, please check your state law. The pepper spray itself is legal in all 50 states, but there are some local restrictions, regarding the capacity and the place of buying. For example, in New York you can buy pepper sprays only from the licensed Firearm dealers and licensed Pharmaceuticals. There are several differences between these two self-defense items. A pepper spray is compact and more accessible. A pepper gun, on the other hand, provides the most extreme streaming range. The distance between you and the attacker can be vital, so the range of spray or gun is very important. The pepper gun provides the ease of aiming, but the pepper spray is more convenient in terms of concealed carry. It can be worn as a bracelet or it can be clipped to your jeans/pocket. The pepper gel formula makes it thicker than gas. It is more convenient to use indoors or in the windy conditions, because the gel formula decreases the blowback risks. It requires a more precise aiming, because it doesn’t create a gas cloud. It is great that the gel is less likely to affect you. Although the gas formula itself does not differ very much among all products, the canister design and size of the item might vary. If you like jogging and want to protect yourself when you are on the move, a good idea will be to buy a compact, one-hand operated spray. There are various options which can be placed on your hand, such as a bracelet, or put in your pocket. The pepper gun, for example, would be hard to carry on the run. Please choose the right item according to your needs! The capacity of the canisters is also regulated by law, so please check whether it is legal in your State to buy the item you are going to pick. Pepper sprays can provide a different number of bursts. The smaller the canister is, the less bursts are available. But the compact size of the item is important, too. So you need to pick the one which suits all your preferences. When it comes to personal protection, the time of reaction is very important. The danger can appear in a few seconds, so it is necessary to react quickly. SABRE RED Pepper Gel Spray is immediately accessible, because it features an adjustable hand strap. If you like jogging, your pepper spray is always around, that’s why it is a perfect pepper spray for runners. This pepper gel spray is highly reliable and practical, because it is produced by one of the most trusted manufacturers in the USA. This brand is recommended by the police. It provides protection against multiple threats, while allowing you to keep a safe distance. The streaming range is up to 12 feet. This pepper spray is equally effective for both indoor and outdoor use. It prevents the wind blowback risk, so you won’t be affected by the spray. This item can be stored and used for 4 years from the manufacturing day, which makes it quite durable. I should definitely name the compact design among the advantages of this item, which makes the item perfect for the people on the move. The quality of this pepper spray is ensured by the ISO 9001:2008 Certification. Another good SABRE product is Red Pepper Gel, which features the maximum strength formula against different threats. It is also ISO 9001:2008-certified and can be stored for 4 years after the manufacturing day. The streaming range of this item is quite impressive – it is up to 25 feet. This provides a necessary safe distance between you and the threat and eliminates the possibility of the wind blowback risks. This item is specifically designed to secure your house, that’s why it comes together with the mount bracket and the necessary hardware. You can easily hang the gel in the accessible place, but make sure the kids cannot reach it. Your gel will be right where you need it to be. The gel formula is perfect for indoor use, but it requires accurate target acquisition. It features no airborne particles and affects target only by the direct contact with the gel. The thumb trigger features the pistol grip for the user comfort. It is easy to use. This self-defense pepper spray provides the high efficiency, because of its 10% OC oleoresin capsicum spray formula. It is a natural substance, which is derived from the hot peppers. This item features the Ultraviolet dye, which is another advantage. It leaves the invisible marks on the target and by these marks the police can identify the attacker. So you will not only protect yourself, but you will also help the law enforcement to solve the crime. The formula of non-liquid pepper gel prevents the blowback incidents. The gel is thicker than the spray and is safer to use in the windy conditions. The accidental discharge of the item is prevented by the patented Flip Top Safety Cap technology. You won’t have to worry about the leakage of the item, because it is secured in a well-constructed canister. 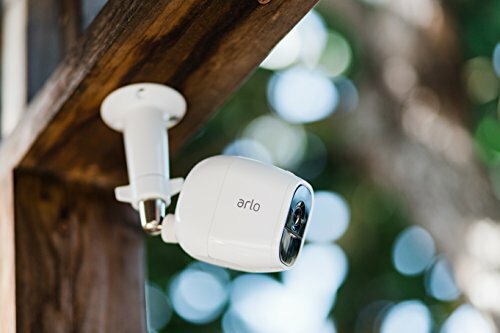 The streaming range is great – it is up to 18 feet. You can easily aim the target, while keeping a safe distance from the attacker. You can adjust the position of the clip according to your needs, because it spins. The capacity of each canister is 1.5 oz, which provides up to 20 bursts. 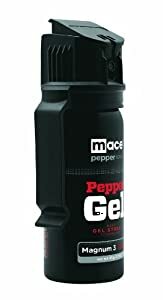 What is the strongest pepper spray on my list? 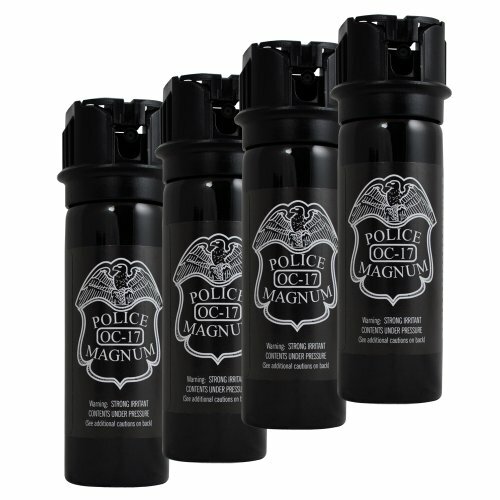 It is the Police Magnum Pepper Spray, because it features 17% OC concentration level. It is one of the most powerful concentration levels of OC, which is legal to use in a self-defense item, according to the law. Buying a pack of four pepper sprays will be a good deal, if you want to protect each of your family members. There are four 3 oz OC spray canisters. They are highly efficient, due to the 17% OC level formula. The safety of this item is ensured by non-toxic and non-flammable ingredients. The accidental discharge is prevented by the safety top. You don’t need to worry about unintentional leakage of the spray, because the canister is very reliable. It features the UV dye for easy attacker identification. The invisible marks will help the police to recognize the intruder afterwards. It is a high-quality durable item, which is produced in the USA. It provides multiple blasts. The easy and convenient one-hand operation of the item is ensured by the well-thought ergonomic design. The streaming distance is from 10 up to 15 feet. This is a reliable and functional item which provides the maximum protection to the user. While the spray formula features only 2% OC concentration level, it is quite enough for personal defense, because the OC used in this spray has high SHU level. The stream is very powerful and shots to the range up to 17-20 feet, allowing you to keep a safe distance from the attacker. The capacity of the item is 4 oz, which ensures about 32-36 bursts. The compact design makes this item perfect to carry with you. You can place it in your pocket or bag without any worries about accidental discharging, because the Flip-top prevents it. This item is manufactured in the USA. Please note that the date on the canister is the manufacturing day, not the expiry date. 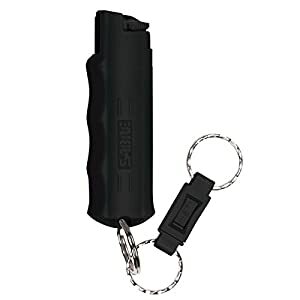 Sabre Red Key Case Pepper Spray provides an excellent performance with its powerful stream, which eliminates risks and stops threats. It proved to be reliable and durable, so getting this item will be a good investment in your personal defense. This ISO 9001:2008-certified product offers a four-year storage period and is recommended by the police and other law enforcement agencies. The streaming range is up to 10 feet, which is enough to aim the target and to be on a safe distance from it. The powerful stream of this self-defense spray decreases wind blowbacks, so you won’t be affected by the spray. The capacity of each canister provides about 25 bursts. This model features a special technology – Quick Release Key Ring. It gives you an opportunity to wear spray with the keys. At the same time, it provides a quick access to it when needed, even if the keys are in the ignition or in the lock. You can easily separate the spray from the keys. The accidental discharge is prevented by the safety top locking. The button releasing the spray should be firstly pushed to the right, before it can be pressed. This system ensures the additional protection from accidental discharge. 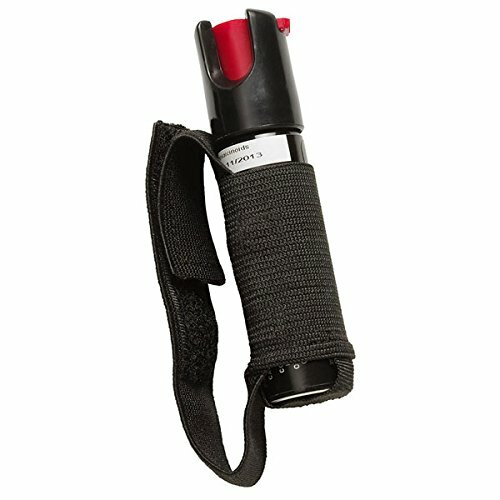 This pepper spray is compact, accessible, and easy to use and store. This reliable spray is a good item to increase the efficiency of your personal defense. It is compact and thoughtfully-designed to provide an easy access to the canister, if necessary. If you don’t wear key chain, it is perfect for you. It can be securely clipped on the belt, on the pocket or inside your bag. Additional safety from an accidental discharge is provided by the twist lock safety. You don’t have to worry about an unintentional leakage. This spray provides powerful stream with the streaming range up to 10 feet. It is a good distance for aiming the target and keeping yourself at a safe distance. The spray provides up to 35 bursts, which is an impressive number. The item weighs only 0.75 oz, so you can easily take it with you wherever you go. Another interesting feature of this item is the UV dye used in it. It leaves the invisible marks on the target, so the police can identify the attacker afterwards. 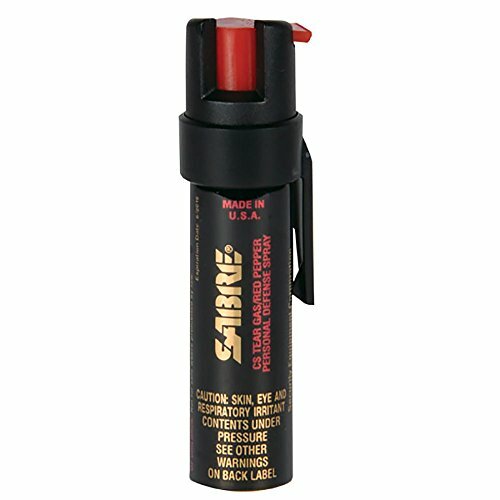 The 3-in-1 formula means that this spray consists of three main ingredients – red pepper, CS military tear gas and the UV dye for the maximum stopping power. That’s why this pepper gas is extremely effective. The formula of the spray gas decreases wind blowbacks for user comfort and safety. Classic pepper sprays are reliable and convenient in use, but there are other possibilities on the market of self-defense products. 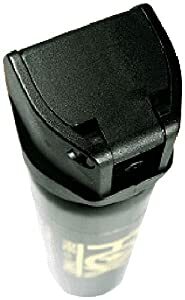 For example, this Supply Pepper Spray Gun that goes together with the whole defense kit. This kit consists of the gun itself, ten pepper spray rounds, ten practice rounds, the magazine capable to fit in 7 rounds, and the lockable case with the lock. It is a good deal. 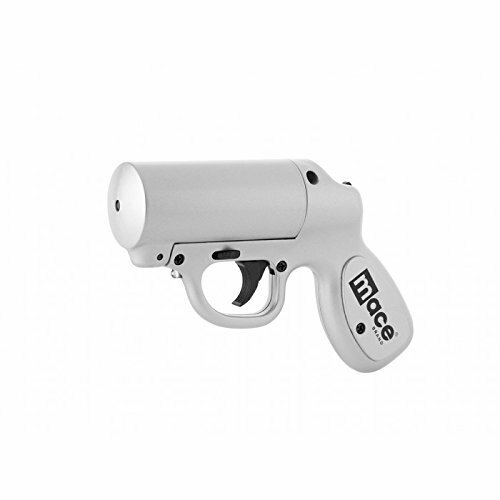 The pepper gun is easy to use and allows you to acquire the target easily. The practice rounds will help you to train yourself to aim and shoot quickly. You can load the magazine and be sure that you gave 7 extra-efficient rounds in case of a threat. The lockable case makes the whole kit easy to maintain and keep in a safe place away from children. A gun is also a much more powerful self-defense item than a pepper spray, because it provides a great streaming range – up to 150 feet. This is more than 10 times further than any pepper spray. With this gun, you will be able to keep the safest distance from the attacker. Needles to say this item is recommended by the U.S. Military, State police and Federal Bureau of Prisons. The extreme durability of this item is ensured by the fact that it can be stored for 5 years from the manufacturing day. It is compact, easy to use and quite silent. The rounds are .68 caliber. The round deploys the gas when you shoot it. Even if you didn’t hit the target directly, the cloud of gas will affect the attacker. 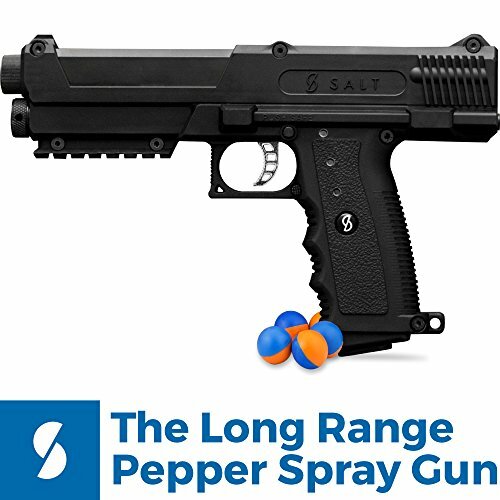 There is another pepper spray gun option which comes at a lower price. It goes without the defense kit, but the item itself is functional and highly reliable. The efficiency of this gun is ensured by 10% OC concentration level formula for the maximum stopping power. It is one of the best mace products for self-defense. It features the UV dye, which is necessary to identify the attacker by the invisible marks. The spray provides a powerful stream, which shoots up to 20 feet. It is a good distance, which allows you to stay away from the attacker. The item provides up to 7 sprays, which is just enough for self-defense. This pepper gun is easier to use in comparison with the pepper sprays, because it provides easy aiming. Another original feature of this item is a strobe LED, which gives you an extra visibility even in the low-light conditions. The LED illumination is also a personal defense factor, because it can scare the attacker away. This gun is made of plastic, but it is well-constructed and rugged. The manufacturer also produced the holster for this gun, but it is sold separately. Another unconventional self-defense product on my list is Little Viper Pepper Spray Bracelet. If you are not interested in pepper sprays or pepper guns, this item might be just right for you. The ergonomic design of this bracelet combines the compact size and efficiency. It is easy to use, as it is always on your hand. You don’t need to search for it in your bag. It is hard to imagine something more accessible than a bracelet! This design is perfectly suitable for the people on the move or the people who travel a lot. This item provides the necessary protection, at the same time allowing you to keep your hands free. The canister is thoughtfully concealed, so no one will notice this item. 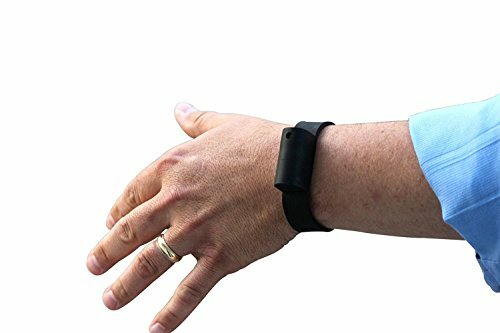 This pepper spray bracelet features 10% OC concentration level for the maximum stopping capabilities. The streaming range is up to 3 feet, so it is perfect for self-defense, if the attacker is very close. The bracelet is water-resistant, but not waterproof. I hope that this article on picking the best pepper spray was useful to you. When it comes to personal defense, there are different options. A pepper spray is a good choice, because it is reliable, effective and safe for the user. There are various OC items on the market which give you the opportunity to protect yourself. The difference between the items is not only in the gas formula, but in the size of a canister, the streaming range, the power of the stream and the accessibility. Please feel free to choose the item which meets all your needs, including the size and specific purposes. Some items are perfect for the people on the move, others for the home security. If you are interested in protecting your home, you might want to check out this article about best wireless alarm systems. It tells about different types of home protection that provide the maximum safety to your family.